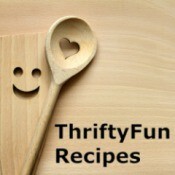 The everyday experts in the ThriftyFun community share their favorite recipes for French food. 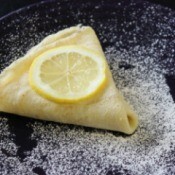 Making CrepesThese thin pancakes are delicious and just as easy to make as classic pancakes. If you are making them for more than 2 people, I would suggest using more than one pan. Sausage and Lentil CasseroleThis casserole is an old French favorite, it demonstrates simple home-cooking at its best giving a hearty and delicious taste of the traditional French kitchen. 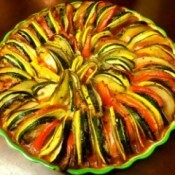 It makes a delicious and quick hot meal when served with fresh French bread. This recipe can be adapted for vegetarians by substituting the sausages for beans.